Driven by a deep passion for theatre, Ian Carling and his wife Chrissie have pioneered a bold theatrical legacy for Cirencester. Community and youth theatre have thrived at the venue for over thirty years, but now this site has been taken to a new level. The former 1940s Nissen hut has been transformed into a beautiful, state-of-the-art, air-conditioned auditorium for 200 theatre-lovers. With a studio rehearsal suite, dressing rooms, a green room, and an orchestra pit, audiences will experience entertainment that competes with the West End. new, highly-acclaimed 60-seat restaurant and piano bar, Teatro. With a car park just across the road, dinner and a show never got easier. We love bringing people together and making a difference in our community. As a charity, we rely on the generosity of our supporters. As a business partner, you can support by joining the Barn500 Business Club or Becoming A Sponsor. To get involved, please contact Tessa Webb, Business Development Manager, on 01285 648242 or email tessa@barntheatre.org.uk for further information. 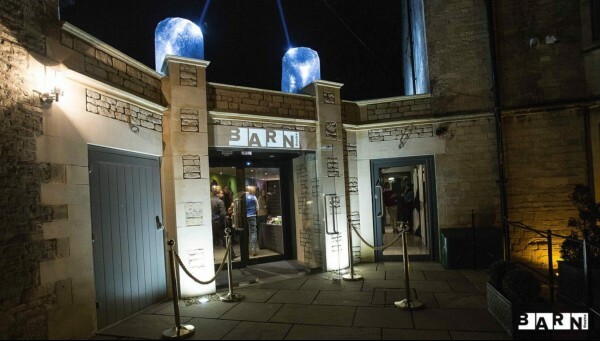 The Barn Theatre is the place to share top-class regional theatre and performing arts education.